TAG Global Systems has appointed Stampede to serve as a distribution partner for TAG TECSLATE, a cutting-edge 10-point interactive and collaborative touchscreen display solution throughout the United States and Canada. Stampede will distribute both the 65-inch and 84-inch TAG TECSLATE solutions in 1080p LED and 4K models. 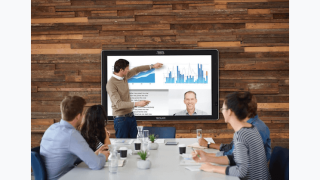 Every solution offers an anti-glare display, making it well suited for indoor or outdoor usage, and comes standard with an onboard Wi-Fi-enabled PC that runs the latest Microsoft Windows 10, 200-channel digital LCD TV, and TECSLATE Pro whiteboard interactive software. TAG will be exhibiting the innovative TAG TECSLATE solution at Stampede’s upcoming Big Book of AV Tour in Washington, DC on September 22, 2016. To register for the Big Book of AV Tour and see the TAG TECSLATE in action, visit www.BigBookofAVTour.com.